Adventure. Serve. Create. Seek beauty. Do it barefoot. Current setting: Nairobi Java House landside at Jomo Kenyatta Airport. Where are the waiters? Taking shelter for six hours before checking in for a flight in which I will get to know five different airports in four different African countries, flying sky high for both the sunrise and the sunset. Welcome to my comfort zone. Current aesthetic. Norah Jones in the background. Truly no waiters. Note: This is a continuation of my last post, which you can read here! As you read in my last post, there is a particular life maxim that I’ve kept close to heart as the seasons of life have continually shifted. Crying is the first sign of life, but laughter is the surest. I am a believer that seasons of sorrow give way to rebirth. Based on my last blog post, you might think that I believe that with rebirth comes seasons of laughter, or that seasons of tears and laughter are mutually exclusive. Well, life has never exactly graced us with such simplicity has it? Even in laughter the heart may ache. I reckon many of us know that all too well. Please do not mistake me when I say that laughter is the surest sign of life. I do not mean that unless you’re perpetually as happy as bird with a French fry that your life is pointless. In fact, that’s the opposite of the truth I see. Laughter and joy are not simply about happiness. They are more importantly about resilience. 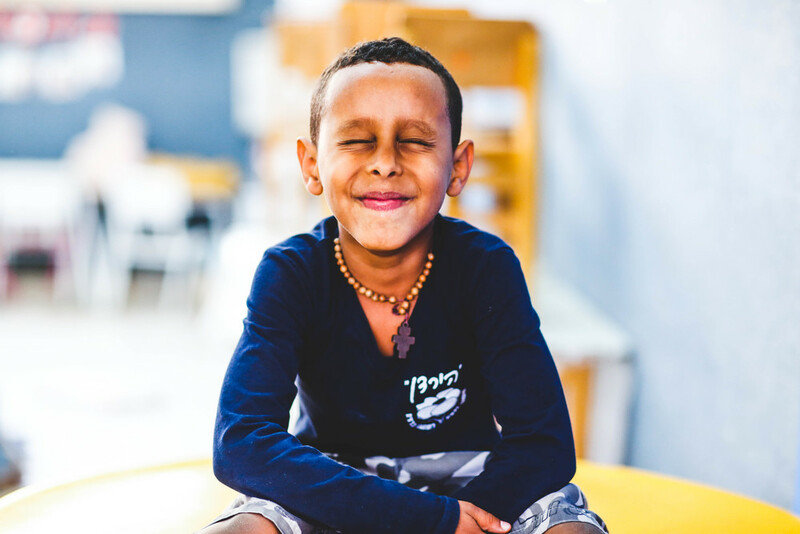 I know that because I have seen laughter fill the mouths of Eritrean refugee children separated from their beloved siblings. I have heard laughter fill the classrooms of my Kenyan students I’ve gotten to know at Made in the Streets who tell me stories of such brokenness. Moreover, I’ve experienced laughter filling up my own life when, honestly, (and this is truly the most eloquently I can put it) everything totally sucked because college is hard and boys are the worst and whatever whatever whatever UGH. I’m sure those were my exact words at the time. Something really beautiful has happened in me in the last year. Bad things happen. A favorite student runs away. I don’t get the dream job. Loved ones die at their own hand. I literally hit a wall (with my car, oops). Every time a bad thing happens, I ask, is this supposed to be when I lose faith? God, shouldn’t I be angry with you? Why do I still want to sing and dance and love? Why do I still laugh? Why do I still get filled up at the sight of a clear night and a shooting star when my wish has already been denied? Why haven’t I stopped fighting yet, after countless times past of thinking I should? And every time, I have peace, joy even. Sometimes it takes a little while, but I want to keep fighting the good fight. Some of the most resilient fighters I know. You can tell by the smiles. Laughter is the surest sign of life because it means that we are fighting dearly for life. It means that we are resilient, and life is truest in resilience. In resilience, we know that imperfect life is worth fighting for. In resilience, we care enough to look for beauty and goodness. In resilience, we laugh without fear of the future. In truth, we fight for life every second of every day. And it’s not violent, it doesn’t have to be. It’s beautiful. Because it means that no matter how painful and how dark it gets, we’ve remembered what it’s like for the sun to rise again and for the winds to gently pull us closer to sweet, merciful, abundant life. David, one of the MITS students, has a tear duct condition that makes him constantly tear, despite the fact that he's constantly laughing. He's basically the poster child for this post.